Oh man, looks so gorgeous. What a lovely view. Well seen. 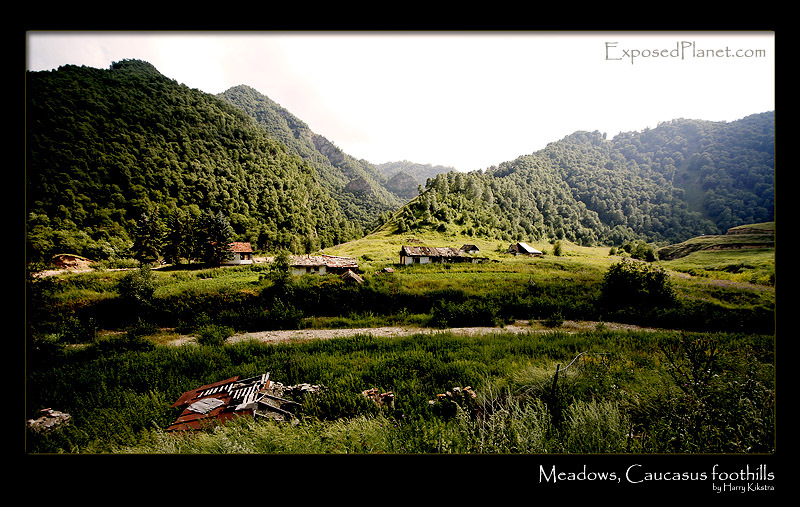 The story behind "Caucasus meadows"
We went for a little walk while waiting for a new car (long live my sat phone!) and visited yet another mineral spring. On the way I took this photo, some abandoned sheds in the foothills of the Caucasus. No tourists, no cars, just miles and miles of nature and a little bit of human interference..